Diwali is the largest and most famous holiday celebrated in India. It marks the Hindu New Year. In Northern India, with the diminishing use of Sanskrit, the word ‘Deepavali’ got contracted to Diwali. Diwali is generally associated with the worship of Goddess Lakshmi, the Hindu Goddess of wealth and prosperity. 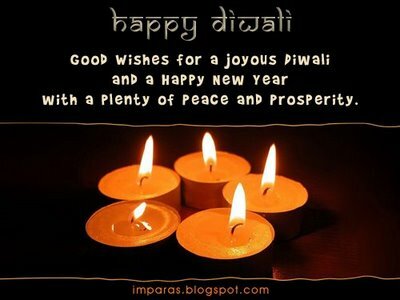 Diwali is celebrated over a period of five days beginning in late Ashwin and ending in early Kartik. In South India, Diwali is referred to as ‘Deepavali’ while Narakasura Vadha is the main celebration day. In Hinduism, Diwali is celebrated to mark the return of Lord Rama after a 14 year exile according to North Indian traditions but down south, the death of the evil Narakasura at the hands of Lord Krishna is the main reason behind celebrating Diwali. In Malaysia, Diwali is celebrated as ‘Hari Diwali’ in the month of Aswayuja. It is a national public holiday in Malaysia. Diwali is also celebrated in Nepal and is referred to as ‘Tihar’ or ‘Swanti’. On the fourth day, the Hindu God of death, Yama is worshipped for a longer life of the people. Diwali is celebrated as ‘Kali Puja’ in West Bengal by worshipping Goddess Kali. Diwali is one of the oldest rituals for Kashmiri Pundits. There is mention of Diwali celebrations in the Nilmat Puran, and is referred to as ‘Sukhssuptika’ which literally means ‘to sleep with happiness’. Diwali celebrations in Orissa have a unique traditional practice of calling upon the spirits of their dead ancestors. They burn jute stems to shed light on the dark path of the spirits on their way to heaven. Gambling during Diwali is believed to bring good luck and prosperity in the year ahead. Diwali marks the end of the harvest season and the onset of winter. Farmers thank the deities for the harvest they had and pray for a prosperous harvesting season in the upcoming year. Diwali is also a significant festival for the Sikhs since 1577 as the foundation stone of the Golden Temple was laid on the day of Diwali. The business community celebrates Diwali by opening new accounting books. Diwali marks the beginning of the new financial year; hence, traders and businessman start it by offering prayers to Lord Ganesha. Lord Mahavira attained his Moksha or Nirvana on the day of Diwali, and so the Jain community in India celebrates the next day of Diwali as New Year’s Day. 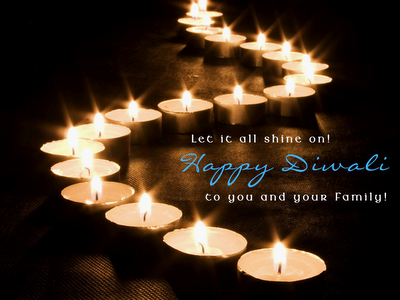 “Shubh Deepavali” is a customary greeting associated with Diwali, which literally means “Have an auspicious Diwali”. Amazing post buddy and you added some good things to my knowledge and that video of origin of diwali was awesome.